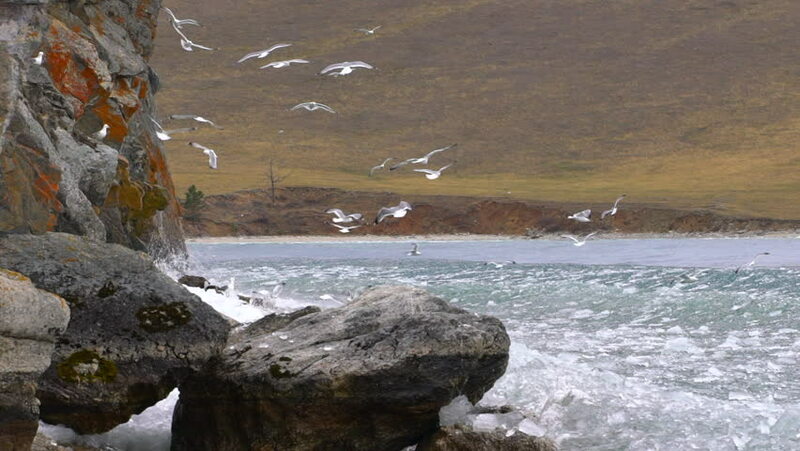 Flock of seagulls fly over lake and rocks in daytime. Baikal lake, Russia. Slow motion shot. hd00:16Cascade of the mountain river. Water flowing through rock in river during hike of the valley of desolation.